Purifying water is going to be a serious issue in a SHTF situation. You should have at least three ways to start a fire. This kit will keep your matches dry and comes with three strikers. 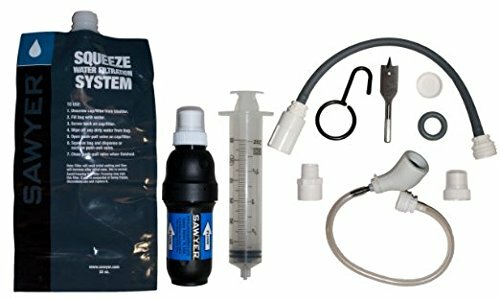 This is the most expensive item on the list at $19.95, but this is also probably the most popular personal water filter in the world. Once again, have three ways to start a fire. Comes with a built-in signaling whistle. This can be useful for a number of things. There are many cheap ones out there, but this one is quality made. Coast Guard approved, 3-day packet with 5 year shelf life. It is 3600 calories for three days which is only 1200 calories a day. OK for the short-haul, but would need to be supplemented for longer periods of sustainment. Another great way to start fires. Para Cord is just an essential item for your Bug Out bag. It has millions of uses. These will get the job done for a while, although they are prone to tearing. They were designed to be emergency use items. Small, light, you can fit a number of them in your bug Out bag. This is one tough, bright, inexpensive flashlight that belongs in every bug out bag. Essential items do not have to be super expensive. And inexpensive doesn’t have to mean cheap.